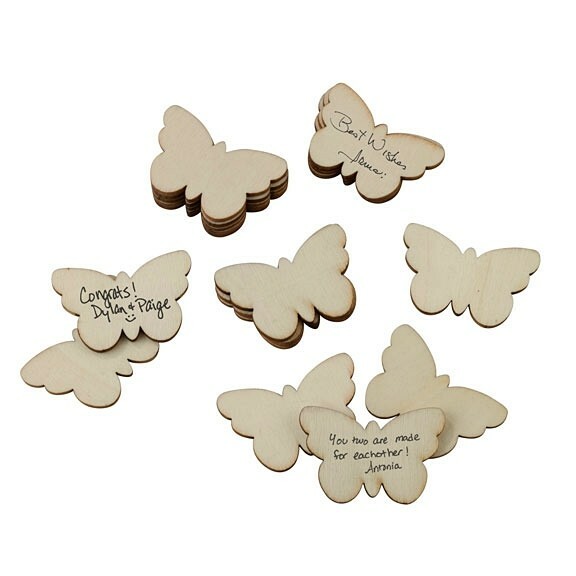 Guests can sign these sweet wooden butterflies to create a fun wedding guest book alternative. Drop them into a decorative container to keep for years to come. Signing butterflies come in a pack of 49 (1 large and 48 small butterflies). A personalizable frame to hold the wooden signing butterflies is available separately as Product Code: LR-GA564.